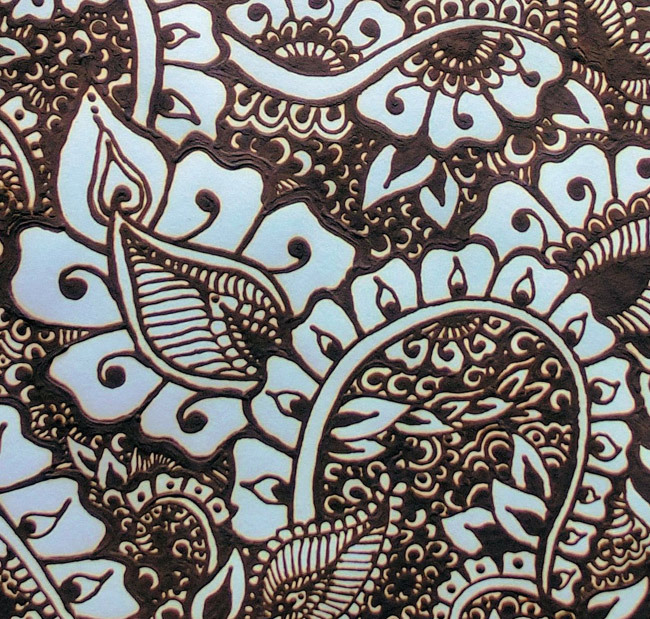 Using henna I designed the leaves with a sharp and pointed tip, giving a fire effect. Original Size: 12″x 16″ /30.5 cm x 40.64 cm. Framed.